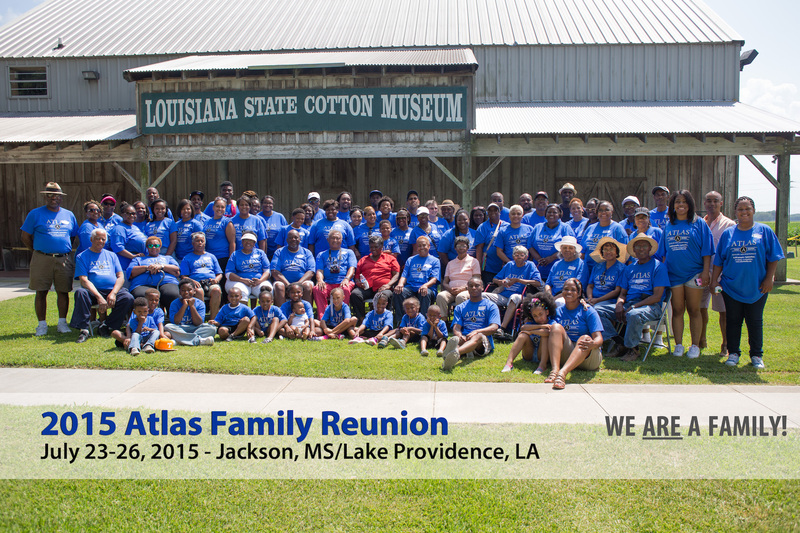 While the exact starting date has not been confirmed, family members agree that the Atlas family reunions began as early as the 1930s when the children of Louis Balfour/Bareford Atlas, Sr. would return home after they had left the rural south and moved to places in the midwestern, western, and northern United States. These impromptu reunions continued throughout the 1940s, 1950s, and 1960s as family members would gather for Thanksgiving and also attend the Bayou Classic football game between Southern and Grambling Universities. The first formal Atlas reunion took place November 14, 1972 in Lake Providence, East Carroll, Louisiana. The event was held at White’s Restaurant with approximately 40 family members in attendance. This reunion set the course for what would be consistently planned reunions taking place every two years. Reunion attendance continues to boom as more family members discover their lineage online. For reunion photos, please visit AtlasFamily.Org on Shutterfly.